I have started reading a book titled Alexander the Great’s Art of Strategy: The Timeless Lessons of History’s Greatest Empire Builder by Partha Bose. I’m only a few pages in but the book appears to be part-biography, part-management manual. For that reason, I don’t know if I will finish it as I am not sure how interested I am in applying the lessons of Alexander’s kingship to modern-day businesses (I took the book out of the library because I wanted to read about about Alexander the general). Well, it is 264 pages; I’ll commit myself to reading a third – 88 pages – of it and see how I feel then. If you would like to read more about the book, it’s Amazon.com page is here. I spend a fair amount of time on my Alexander Facebook page these days, and I am extremely proud that in the last few months it has crossed the 10,000 mark for both Likes and Follows. It shows how relevant Alexander remains today. On 14th November, I noted that it was – according to Peter Green – the 2,349th anniversary of Alexander’s coronation as pharaoh of Egypt. The qualification according to is very important as Green is the only historian I know who even says that Alexander was made pharaoh let alone gives a date for it. I am very happy to celebrate ‘Coronation Day’ on 14th Nov. because it is good to celebrate positive events, but I have to admit, I do not know where Green gets his confidence from: none of the five major sources into Alexander’s life mention his being crowned pharaoh. Indeed, they hardly even mention (his first visit to) Memphis. Only Arrian tells us anything of substance. He says that Alexander sacrificed to sundry gods, including Apis, then held athletic and literary contests before leaving again. Curtius states that Alexander went to Memphis and that’s it. Don’t worry about clicking on the links, though: I intend to reblog the posts here when I am finished. What I really wanted to say is that Alexander spent seven months in Egypt. As mentioned above, he visited Memphis at the start of his trip, and at the end. Unfortunately, neither Arrian nor Curtius – who are the only two to mention the first visit to Memphis – say how long he spent there before moving on. This is is a shame because if the coronation of a new pharaoh required a lot of preparation, and he was there for only a short while, then we could rule November out as the coronation date. But perhaps the Egyptian authorities would have been ready by the following April? 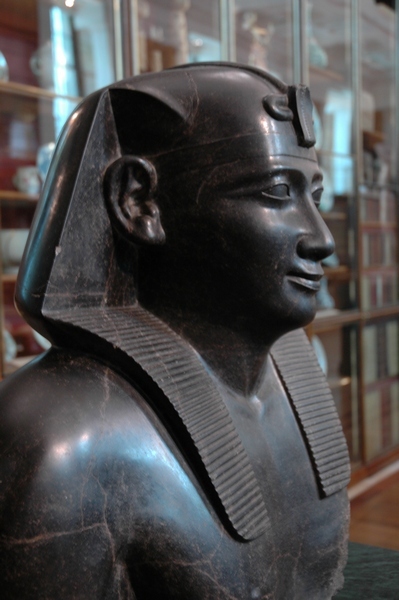 What I am hoping is that as I continue reading the Egypt chapter of the sources I will come upon a passage that sheds more light on how long Alexander spent in particular places. I fear it won’t happen but we’ll see. That Alexander’s battle strategy was based on a ‘hammer and anvil’ approach. i.e. The phalanx acted as an anvil on which the enemy was placed while the Companion Cavalry beat it like a hammer. This strategy can be seen most clearly at the Granicus, Issus and Gaugamela. The analogy is not a perfect one but has been really helpful in helping me ‘see’ the battles more clearly than I did before. Heliopolis: When I wrote the above linked post I suggested that Alexander sacrificed there. A commenter stated, however, that by his day, the city was a ruin. It’s more likely, therefore, that Alexander simply used it as a place to cross the Nile before continuing on to Memphis. I have just finished David Hogarth’s A Wandering Scholar in the Levant (John Murray 1896). It was a delightful account of his travels through the near east in search of the ‘Remains of Distant Times’ (p.7). A few of passages made a strong impression on me. I covered one of them in this post and thought I would record the others here. The first quotation really made me sit up. Ten renaissances! Egypt must certainly have been a powerhouse of cultural brilliance. The second, however, floored me. What’s going on? I wondered, One minute Hogarth is saying how excellent Egypt was the next he is deriding it. 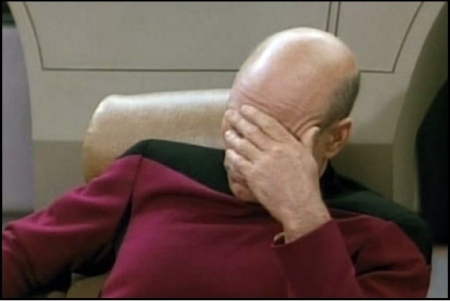 I should have re-read the renaissance passage again. When I did, I realised that for Hogarth, Egypt’s renaissances were not the same as Europe’s. The were not a time of rediscovery and flowering anew. Rather, as the first sentence below shows, they were a time simply of restarting. This takes some of the gloss off Egypt’s past but one still has to admire a country that no less than ten times was able to pick itself up again. For the record – I spaced Hogarth’s text out as you see it below to make it easier to read. Each new agency has all to do over again; each new agency advances sometimes as far as the last, sometimes less far, never farther. and the Renaissance of the Sebennytics (6), this last a conscious effort to throw back. There was a Renaissance of the Ptolemies(7), another of early Christianity(8), another of the Fatimites(9), another of Saladin(10), another of the Mamluks(11), a last of Mehemet Ali(12). And the impulse of one and all, almost beyond doubt, came from without Egypt, the Amenemhats and Usertasens(13) being foreigners as truly as the founder of the Dynasty that is reigning now(14). ‘Each new agency…’ In Hogarth’s opinion, it sounds like the Ptolemies went backwards. Ptolemaic art is worse every way than Pharaonic – bad relatively and bad absolutely, corruptio optima pessima(15)! 3. 1391–1353 or 1388–1351 B.C. 5. i.e. The Twenty-Sixth Dynasty 685–525 B.C. 6. i.e. The Thirtieth Dynasty 380 BC–343 B.C. and I know no prettier irony than that among all those inscriptions of Pharaohs who “smite the Asiatics” on temple walls and temple pylons, there should occur no record of the prowess of the one King of Egypt who really smote Asiatics hip and thigh – Alexander, son of Philip. I am very interested in Egypt’s history but I have to admit, when I read those last words about Alexander, I did smile. Sea-Monster: What Are The Gods Saying? Chapter 40 begins a new year in Diodorus’ chronology but takes us back to the Macedonian camp immediately after the Battle of Issus. After burying his dead, and ‘those of the Persians who had distinguished themselves by courage’, Alexander sacrificed to the gods and gave rewards to those of his men ‘who had borne themselves well in battle’. Once these tasks were over, he let the army rest for a few days before beginning the southward journey to Egypt. In southern Phoenicia, Alexander came to the island city of Tyre. There, he told the Tyrians that he ‘wished to sacrifice to the Tyrian Heracles’ only to be refused permission to enter the city. Angered by this, Alexander threatened to take the city by force ‘but the Tyrians cheerfully faced the prospect of a siege’. Diodorus explains that the Tyrians’ decision to bar Alexander was motivated by a desire to ‘gratify Darius’. They also thought that by this show of loyalty ‘they would receive great gifts from the king’. As he prepared to lay siege to the city, Alexander saw that Tyre would be impossible to take by sea ‘because of the engines mounted along its walls and the fleet that it possessed’. Neither was taking it by land an option as Tyre lay four furlongs away from the coast. The obvious answer to this dilemma was simply to leave Tyre where it was and continue on to Egypt. But in Alexander’s eyes, this would cause his army to be ‘held in contempt by a single undistinguished [!] city’ and he could not allow that. His first action was to demolish Old Tyre and start the construction of a mole (a causeway), two hundred feet wide, to bridge the gap between shoreline and city. This kind of project was going to need a large workforce to complete, and Diodorus says that Alexander ‘drafted into service the entire population of the neighbouring cities’ in order to get it done. Which in due course, they did, with some speed. Diodorus reports that some women and children – and presumably old men – were removed to Carthage but that the rest were forced to stay in the city by the rapid advance of of the mole. As you can see by the map below (from Wikipedia’s page dedicated to the siege), Tyre’s two ports were land-facing. Perhaps as the mole progressed this put the ships within range of Alexander’s catapults making their movement impossible. Having said that, as the Footnotes point out, in Chapter 46 Diodorus says that ‘most of the non-combatants’ were taken out of the city. Whether or not the women and children got away, the men in the city set about constructing catapults and other anti-siege engines. Work went well ‘because of the [number of] engineers and artisans… who were in the city’. Strange events now interrupted the siege and caused confusion among the Macedonians and Tyrians alike. As the mole ‘came within [firing] range’ of the Tyrians, a tidal wave caused ‘a sea-monster of incredible size’ to crash into the mole. Neither were harmed and after a while the monster (a whale?) swam back into the sea. But what did it mean? Was it a good or bad omen? Both sides asked themselves this question. And both sides decided it was a sign that Poseidon was on their side. Around the same time, the Macedonians reported that their rations of bread ‘had a bloody look’. And in Tyre, a man claimed to have had a vision ‘in which Apollo told him that he would leave the city’. He was accused of wanting to ‘curry favour with Alexander, and some of the younger citizens set out to stone him’. The man was rescued by the city magistrates; he hid in the temple of Heracles. So not everyone believed the man’s vision but enough were convinced, and they tied golden cords round their statue of Apollo to prevent the god from deserting them. Why did Alexander really lay siege to Tyre? Out of anger, as Diodorus suggests? I agree with anyone who says that his request was a either a ploy to get into the city, whereupon he would take control of it, or a pretext to lay siege to it. Tyre was pro-Persian. That made it too dangerous to leave unconquered. Had Alexander bypassed the city he would have handed the Persians a sea and land base from which to attack him. No city is an island – even when it is. Notwithstanding the Tyrians’ trust in their strength, it is interesting to note that Tyre hoped Carthage, a colony, would help them out. Diodorus says that part of the Tyrian objective was to hold Alexander up and give Darius time to assemble his army. A Carthaginian attack would surely, though, have allowed Tyre to take the fight to Alexander. I like the fact that Alexander justified the siege in terms of his army’s honour. Very crafty – even though I think he had sound military reasons for destroying Tyre, telling the men they were going to build the mole to save them from contempt could only have appealed to their pride. Diodorus doesn’t mention the possibility that Alexander’s ships – he still had some after dismissing his fleet following the siege of Miletus (Ch. 22) – had an influence on Tyre’s inability to evacuate its women and children though they must have been present. Young men are really not coming off well in Diodorus’ history. First we saw how they failed to break Ephialtes’ army during the siege of Halicarnassus – and had to be saved by the Macedonian veterans; then there was the case of the young men of Marmares who killed their families and fled their city despite resolving to die for its freedom; now, the young Tyrians nearly lynched the visionary. Is there a lesson to be drawn from this? I’ll let you decide. In antiquity, Greeks did not completely accept Macedonians as being one of them. Herodotus (V. 22) tells us that Alexander I (reigned 498-454 B.C.) was permitted to take part in the Olympic Games, but only after proving his Greek descent. Today, of course, the country has no doubt and is rightly proud of the achievement of Macedon’s most famous son, Alexander the Great. In proof of this, here is the first paragraph of an article on the Al Arabiya News website. When Greek Defense Minister Dimitris Avramopoulos met with presidential candidate Abdel Fattah al-Sisi on April 28, he presented him with the Sword of Alexander in appreciation of Sisi’s status and efforts. Some, however, have questioned the sword’s significance and why it was given to him. You can read the full article here. Abdel Fattah al-Sisi is a Field Marshal in the Egyptian army, and the leading candidate to become the country’s next president following the downfall of Mohamed Morsi last summer. The BBC website has an article about Sisi here. As I don’t know a great deal about Egyptian politicians I can’t vouch for its fairness but I trust that the BBC – while not being a perfect organisation – would not publish anything hopelessly bad. I saw President Sadat, and he told me that he knew he would be president of Egypt, so I responded that I knew I would be president too. It immediately reminded me of the way Alexander’s Successors claimed to see/speak to Alexander in their dreams as part of their political strategy. By-the-bye I can just about remember seeing the footage of Anwar Sadat being assassinated in 1981; it is interesting to see that his memory has not been forgotten in the last thirty or so years. …by the Egyptian people on June 30 last year [upon the fall of Morsi]. He struck a knot and took a brave stance. This is what Egypt needs, and what Sisi needs to do. But, of course, swords are not instruments of peace and one might also say that Dimitris Avramopoulos’s gift also alludes not only to Sisi’s military background but the ability that the Field Marshal will have – if he becomes president – to orchestrate violent actions in defence of his rule. I know it could be said that as a high ranking military official he already has that ability. But either way, whoever wins the election, I hope and pray that peace is restored to Egypt and her people. 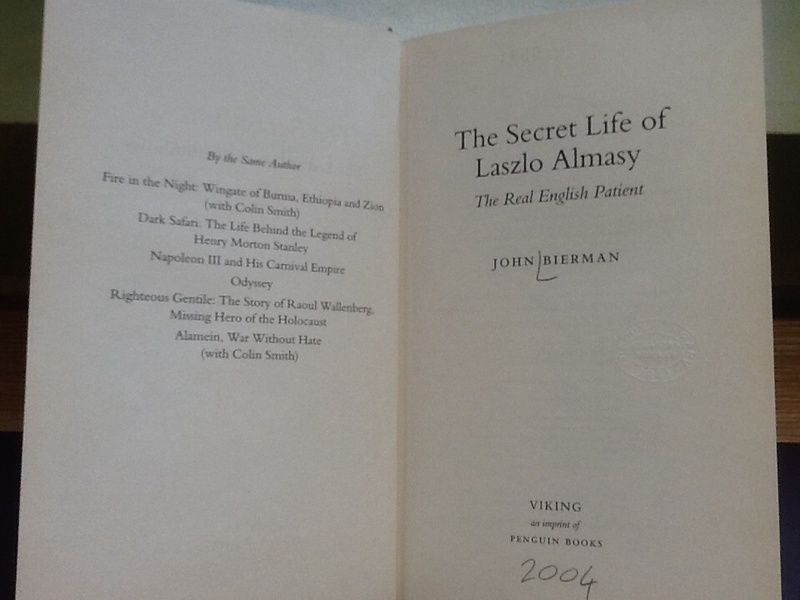 I have just finished reading The Secret Life of Laszlo Almasy by John Bierman. It is an excellent read and I highly recommend it to anyone with an interest in Almásy’s life. Laszlo Ede Almásy is a controversial figure. Depending on who you read, he was pro-Nazi, a Soviet spy, helped saved Jews during the War, a German agent, and British agent. There are not enough documents publicly available to pin him down to one side or another. One thing we can be certain of, though, is that he loved the Western or Libyan Desert (so named even though part of it is in Egypt), and he spent numerous years exploring it. 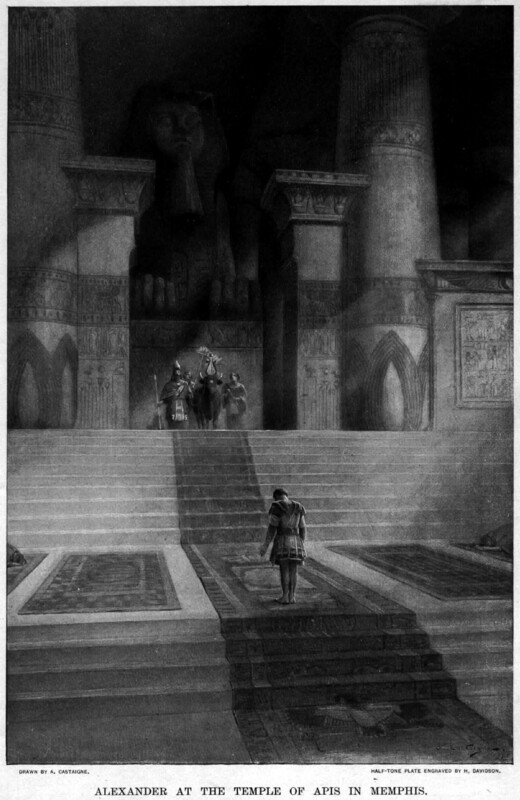 Almásy’s abiding desire – his pothos – was to find the lost oasis of Zerzura and Cambyses’ lost army, which was wiped out by a sandstorm after leaving the Siwah Oasis (Herodotus 3:26). Thank goodness Alexander did not encounter such a menace when he visited it. 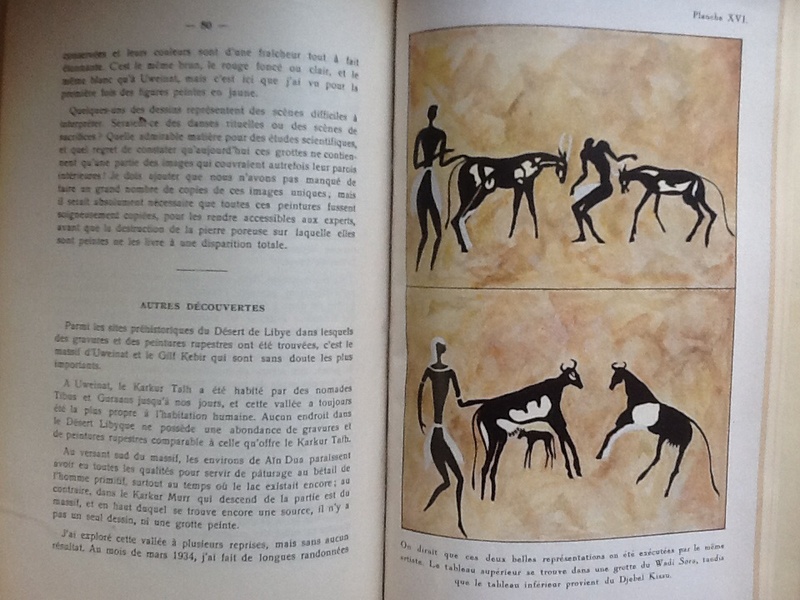 Unfortunately, Almásy achieved neither aim (unless Zerzura is to be found in the Gilf Kebir, which Almásy did explore – see below), but his exploration was by no means in vain. Along the way, for example, he found some superb examples of pre-historic cave art. His knowledge of the desert also came in useful during World War II; albeit for Rommel’s Afrika Korp. The Allies were very fortunate that, despite this, Rommel was not very interested in it. Almasy wrote his own book about his travels – Récentes Explorations dans Le Désert Libyque (1932 – 1936) – which, as you can tell from the title, was written in French. This is bad news for me as it means I can’t read it. However, after finding the book in the library I thought I would share here some pictures that I took of it. 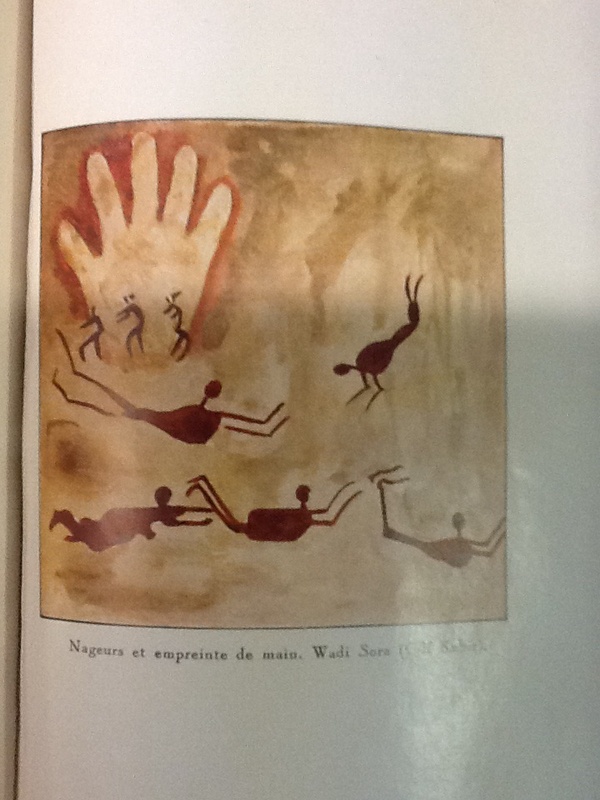 The above watercolour must be one of the most famous images to come out of the Gilf Kebir (Wadi Sura). As you can see, it shows men swimming. Once upon a time the desert was a fertile land. If you have heard of Laszlo Almásy these days you are either an Egyptologist or, like me, a fan of The English Patient film and/or book. Both, however, are inspired rather than based on his life. The real Almásy did not have an affair with a woman named Katherine Clifton; neither did he bring about her death or that of her husband, Geoffrey. 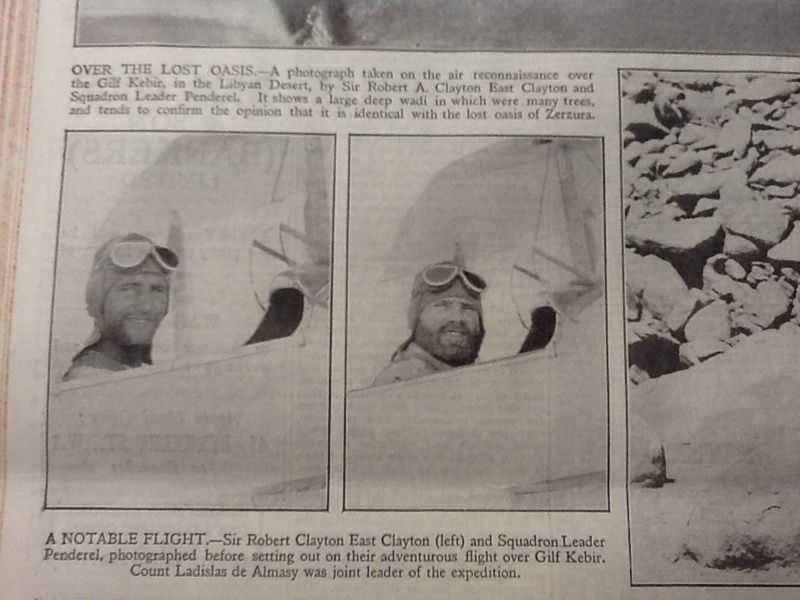 In fact, the Cliftons were based on a young couple named Sir Robert and Dorothy Clayton-East-Clayton. Sir Robert accompanied Almásy into the desert in April 1932 but, sadly, died of an illness picked up there in September of the same year. As for Dorothy, not only did she not sleep with Almásy but appears to have actively disliked him. More could be said about that, but not here. 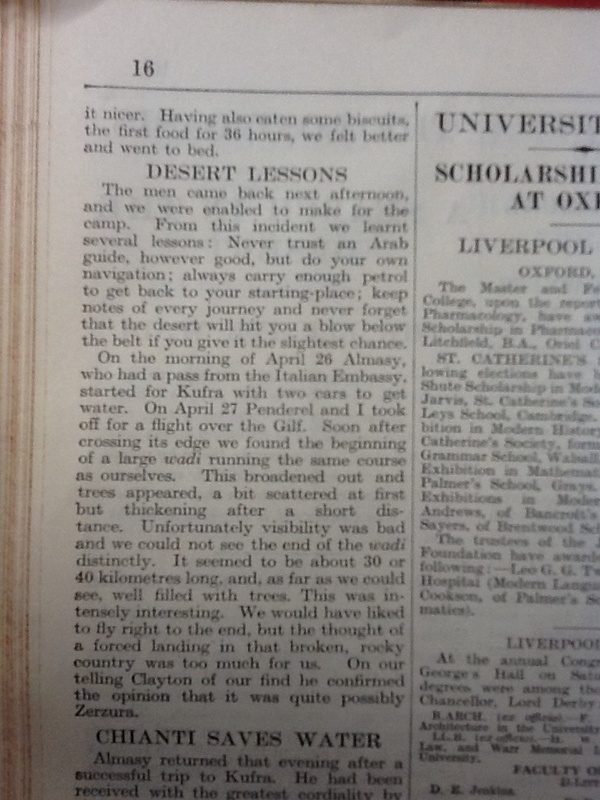 For the remainder of this post, I would like to share with you Sir Robert Clayton-East-Clayton’s report on his trip into the desert. It was published by The Times newspaper on 6th July 1932. Cairo messages on the attempt to discover the lost oasis in the Libyan Desert have appeared in our columns within the last two months. The following article tells the full story. 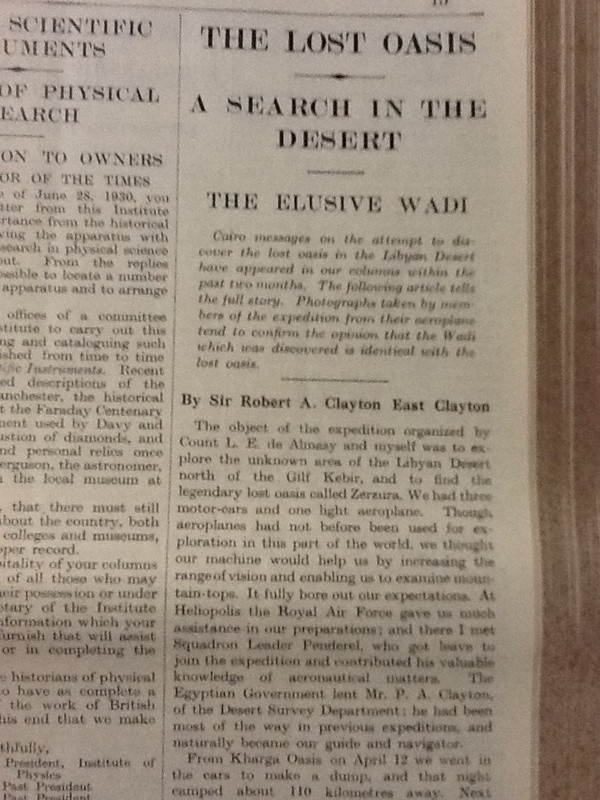 Photographs by members of the expedition from their aeroplane tend to confirm the opinion that the Wadi which was discovered is identical with the lost oasis. The object of the expedition organized by Count L. E. de Almasy and myself was to explore the unknown area of the Libyan Desert north of the Gilf Kebir, and to find the legendary lost oasis called Zerzura. We had three motor-cars and one light aeroplane. Though aeroplanes had not before been used for exploration in this part of the world, we thought our machine would help us by increasing the range of vision and enabling us to examine mountain-tops. It fully bore out our expectations. At Heliopolis the Royal Air Force gave us much assistance in our preparations; and there I met Squadron Leader Penderel, who got leave to join the expedition and contributed his valuable knowledge of aeronautical matters. 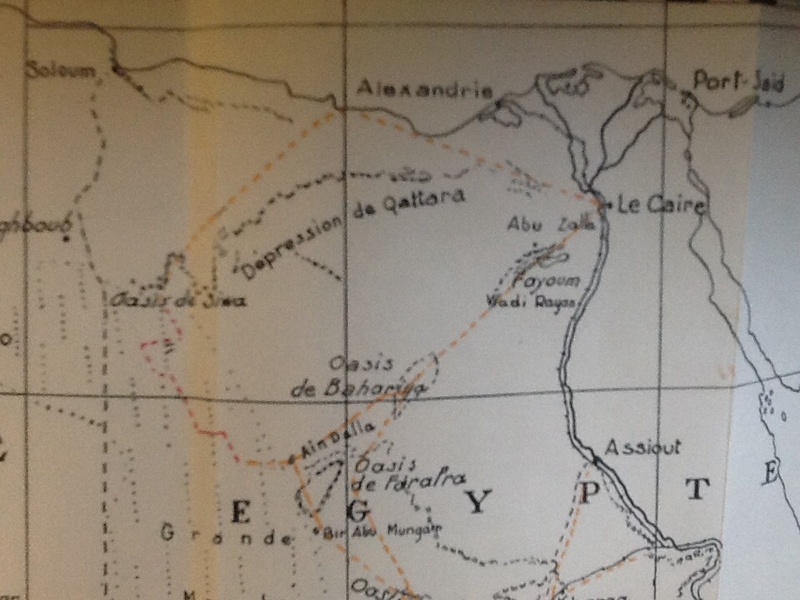 The Egyptian Government lent Mr. P. A. Clayton, of the Desert Survey Department; he had been most of the way in previous expeditions, and naturally became our guide and navigator. 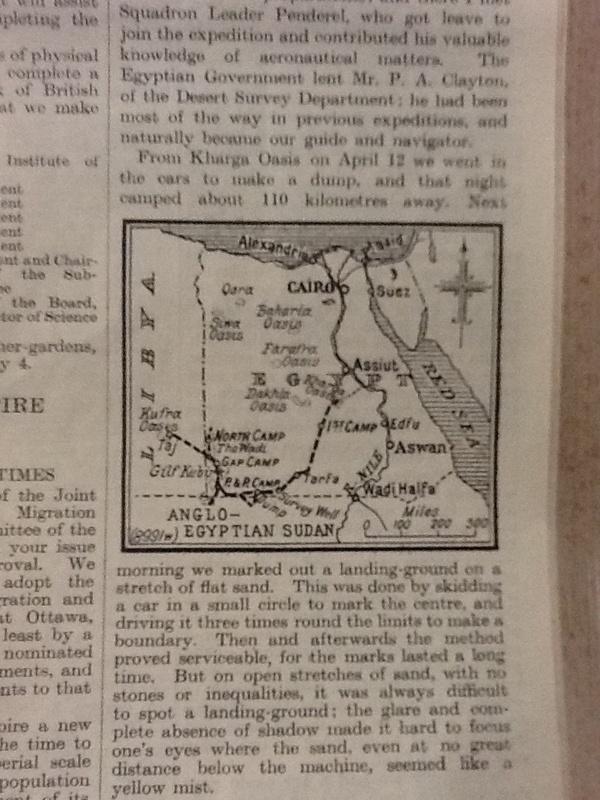 …..From Kharga Oasis on April 12 we went in the cars to make a dump, and that night camped about 110 kilometres away. Next morning we marked out a landing-ground on a stretch of flat sand. This was done by skidding a car in a small circle to mark the centre, and driving it three times round the limits to make a boundary. Then and afterwards the method proved serviceable, for the marks lasted for a long time. But on open stretches of sand, with no stones or inequalities, it was always difficult to spot a landing-ground; the glare and complete absence of shadow made it hard to focus one’s eyes where the sand, even at no great distance below the machine, seemed like a yellow mist. On April 15, finding ourselves near Bir Messalia, we packed camp and drove over to it. Bir Messalia means “Survey Well.” Lying in a slight hollow in the middle of a vast, featureless sand plain, it consists of one small wooden hut containing the winch, the scaffolding over the well and a wooden beacon. It looked an impossible place to find from the air, as it would hardly be visible a mile away. After winding up some water, Clayton and Almasy took the lorry and dumped petrol about 80 kilometres further on in a line of crescent dunes. Penderel and I marked out a landing-ground near the well. As there were practically no landmarks, we made corner marks of empty benzine tins in addition to our usual circle and boundary. We also prepared a smoke fire in case the machine was seen searching for the camp. …..When we left Bir Messalia to go back to Kharga for the aeroplane and more petrol, Almasy stayed behind to see what it felt like to be alone in the desert for a few days. At Kharga Penderel and I took up the aeroplane to practice following tracks, and dropped a message in a weighted towel on Clayton, who had gone on with the three cars. The return to Bir Messalia, during which we encountered a flock of plover migrating northwards, was the worst flight I have ever experienced. As the sun got higher the tracks became invisible. I had to keep my eyes glued on the ground the whole time; lifting them for only a second would have meant losing the tracks for good. What with the terrible glare and the intense concentration needed I lost all idea of height, position, and speed. My head began to swim, and I had an almost unbearable longing to dive the machine into the ground and end it all. The worst of it all was that, as Penderel’s goggles did not fit, he could not take over to give me a rest. However, after what seemed to me an age we arrived at Messalia to find Almasy had laid out a landing. It was terribly hot, with no wind, so we just lay in the winch hut and sweated till Clayton arrived. 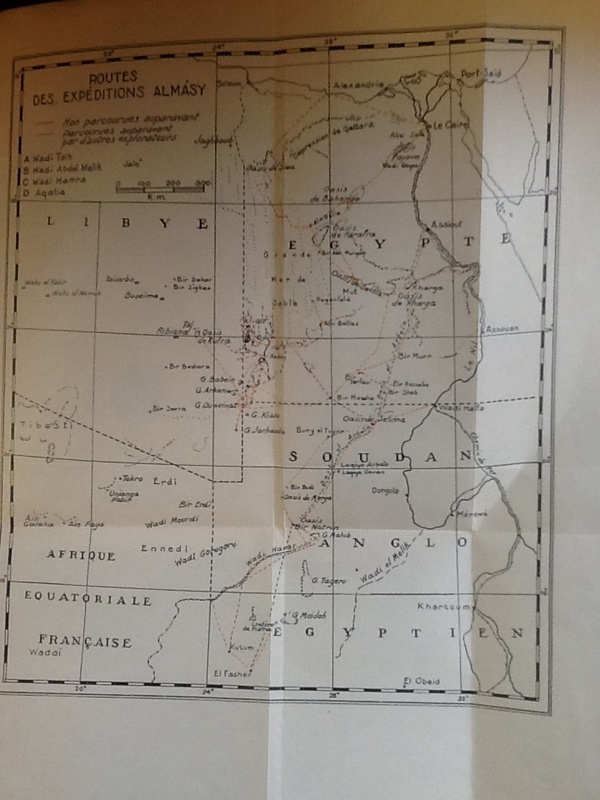 On April 20 we set off by car for some point south-west of the Gilf Kebir, our real objective, and finally camped under two large hills which we called Peter and Paul. Next morning Penderel and I left with three Arabs and two cars; and the Arabs, upon whom we had depended for guidance, took us out of the way. The visibility was bad, and no landmarks were to be seen. Moreover, we encountered a small sandstorm. It became necessary to ration both petrol and water. We realized that Clayton and Almasy would have very little chance of finding us with one car, and would be in a dangerous position, having to trust their lives to that car in those vast spaces. Accordingly it was up to us to get out of our own mess. So, early on the following day, we sent the Arabs on foot to see if they could discover anything. We ourselves spotted a small hill to the north which, if our map and estimates were correct, should have had a small cairn of it. But the Arabs, returning after several hours, said there was nothing on the hill. We began to think of all the stories we had ever heard about death from thirst. …..After calculating our position, we decided to drive north. The petrol ran out at the foot of the little hill we had seen and depended upon. What was our joy on climbing to the top to find that there was a cairn! The wretched Arabs had tired before reaching the hill and reported wrongly. 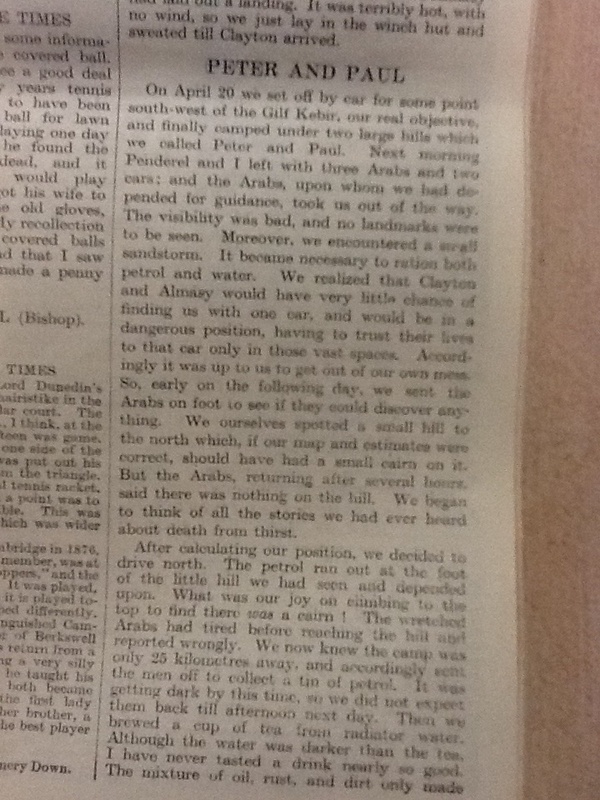 We now knew the camp was only 25 kilometres away, and accordingly sent the men off to collect a tin of petrol. It was getting dark by this time, so we did not expect them back till afternoon next day. Then we brewed a cup of tea from radiator water. Although the water was darker than the tea, I have never tasted a drink nearly so good. The mixture of oil, rust, and dirt only made it nicer. Having also eaten some biscuits, the first food for 36 hours, we felt better and went to bed. The men came back next afternoon, and we were enabled to make for the camp. From this incident we learnt several lessons: Never trust an Arab guide, however good, but do your own navigation; always carry enough petrol to get back to your starting-place; keep notes of every journey and never forget that the desert will hit you a blow below the belt if you give it the slightest chance. …..On the morning of April 26 Almasy, who had a pass from the Italian embassy, started for Kufra with two cars to get water. On April 27 Penderel and I took off for a flight over the Gilf. Soon after crossing its edge we found the beginning of a large wadi running the same course as ourselves. This broadened out and trees appeared, a bit scattered at first but thickening after a short distance. Unfortunately visibility was bad and we could not see the end of the wadi distinctly. It seemed to be about 30 or 40 kilometres long, and, as far as we could see, well filled with trees. This was intensely interesting. We would have liked to fly right to the end, but the thought of a forced landing in that broken, rocky country was too much for us. On our telling Clayton of our find he confirmed the opinion that it was quite possibly Zerzura. Almasy returned that evening after a successful trip to Kufra. He had been received with the greatest cordiality by the Italian officers; he was apparently the first tripper there since the Expeditionary Force left. 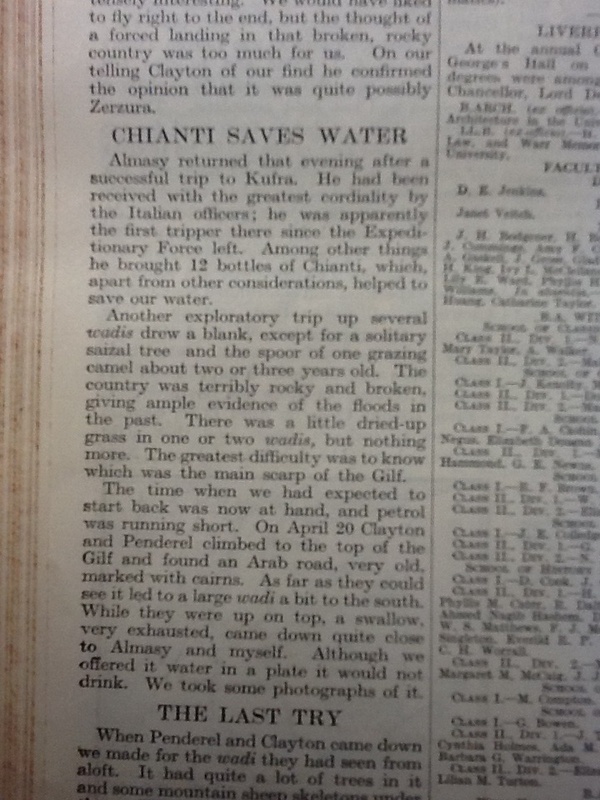 Among other things he brought 12 bottles of Chianti, which, apart from other considerations, helped to save our water. …..Another exploratory trip up several wadis drew a blank, except for a solitary saizal tree and the spoor of one grazing camel about two or three years old. The country was terribly rocky and broken, giving ample evidence of the floods in the past. There was a little dried-up grass in one or two wadis, but nothing more. The greatest difficulty was to know which was the main scarp of the Gilf. …..The time when we had expected to start back was now at hand, and petrol was running short. On April 20 Clayton and Penderel climbed to the top of the Gilf and found an Arab road, very old, marked with cairns. As far as they could see it led to a large wadi a bit to the south. While they were up on top, a swallow, very exhausted, came down quite close to Almasy and myself. Although we offered it water in a plate it would not drink. We took some photographs of it. When Penderel and Clayton came down we made for the wadi they had seen from aloft. It had quite a lot of trees in it and some mountain sheep skeletons under them. However, it ended about five kilometres further on in a sidd, or dry waterfall, which showed it could not be our wadi. 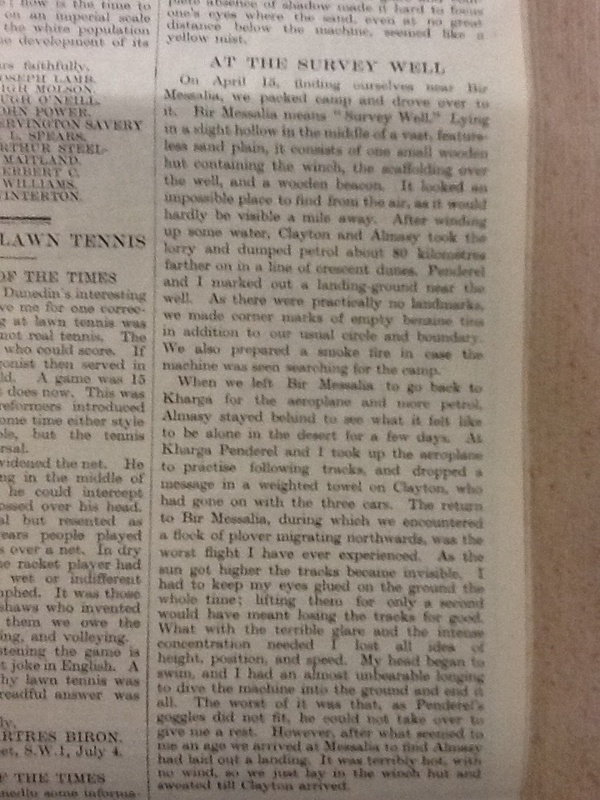 In the evening Penderel took up Almasy, and I took up Clayton, for a look at the wadi. Seeing it again we altered our ideas a bit, and after working out the petrol to about seven places of decimals, we decided that, if we went straight to where we now felt certain the entrance to the wadi was, we should have just enough petrol to get back to our dump at Peter and Paul. …..Accordingly we had a try again next day, but the wadi beat us again. No wonder it is called a lost oasis. This was our last possible effort. It was disappointing not to have entered the promised land, although we had seen it several times from the air. …..The journey home to Kharga was uneventful. 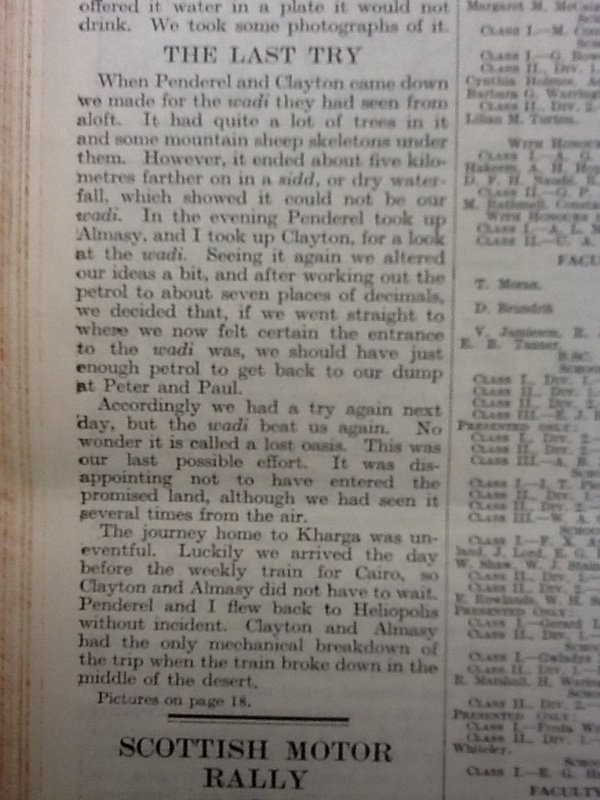 Luckily we arrived the day before the weekly train for Cairo, so Clayton and Almasy did not have to wait. Penderel and I flew back to Heliopolis without incident. Clayton and Almasy had the only mechanical breakdown of the trip when the train broke down in the middle of the desert.